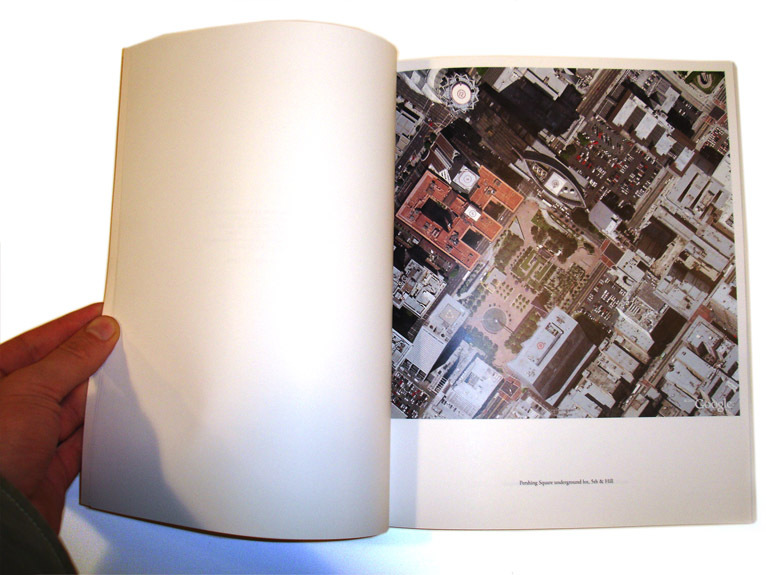 This self-published booklet is the first in a series of limited edition books dealing with photography in the age of Google image search. 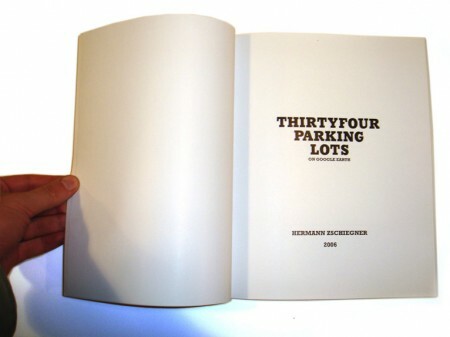 This one is homage to Ed Ruscha’s ‘Thirtyfour Parking Lots‘ originally published in 1967. 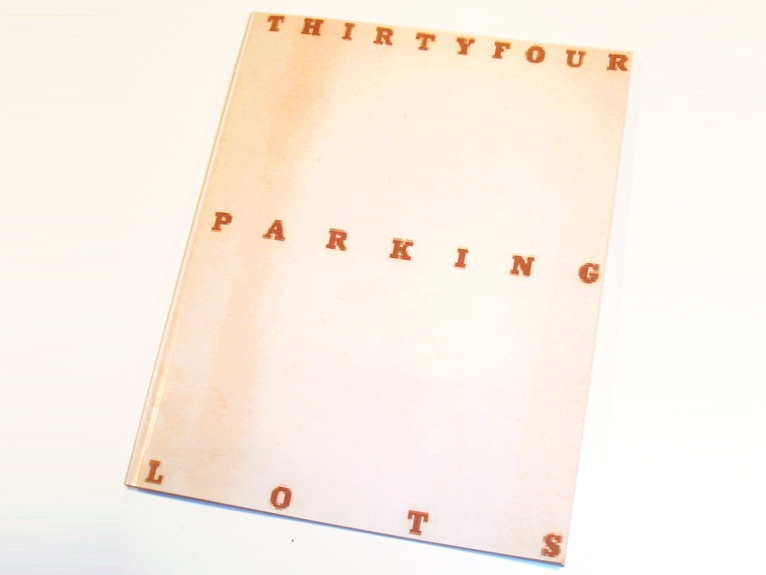 Ruscha included a detailed address for all but one parking lot, the only text that accompanied the pictures, thus the book became a roadmap to revisit the original places, transforming the original book into a programmatic device for my project ‘Thirtyfour Parking Lots on Google Earth’. Copies of the book are available here. A limited edition (100, numbered & signed) of the book, including an original print (8×10 in) is available on request. In 2006 Google Earth was released for Mac operating systems. The year before Ruscha’s Then & Now: Hollywood Boulevard 1973-2004 had been published. Prior to that the musical provocateur Danger Mouse had produced the mash-up album The Gray Album using a-capella vocals from rapper Jay-Z’s The Black Album and samples from the Beatles’ The White Album. Technological capability complemented a culture of historicity and remixing. Throw in the advent of Blurb’s online print-on-demand self-publishing service, and Hermann Zschiegner had all of the necessary elements for conceptualizing a new version of Ruscha’s Thirtyfour Parking Lots. 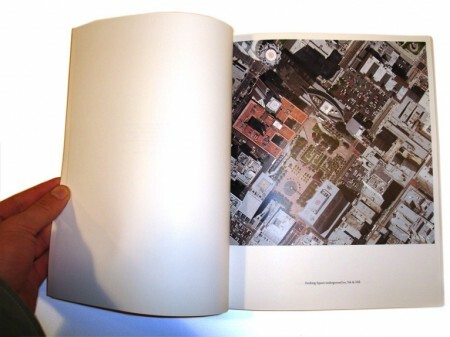 The prototype included addresses for each of the subjects depicted; it was only left to the 21st century replicator to input these coordinates into the software, and a new image of the location was produced. Zschiegner’s book strives to be as true to the original as possible, although he has maintained a number of artifacts of the digital production process: the photographs have not been rotated to match the orientation of the originals, and the book is printed in color. 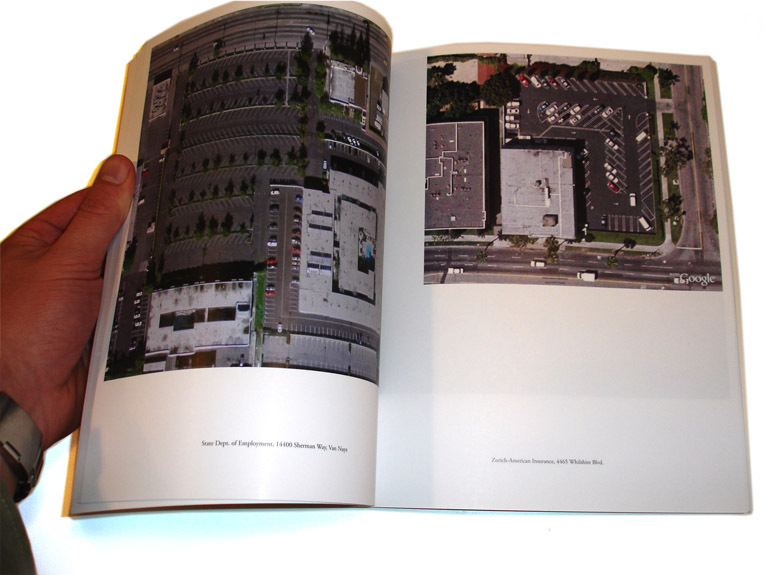 Additionally, Ruscha described one of the sites as merely “Unidentified Lot, Reseda.” Nodding to this lacuna, the corresponding spread is left empty here. 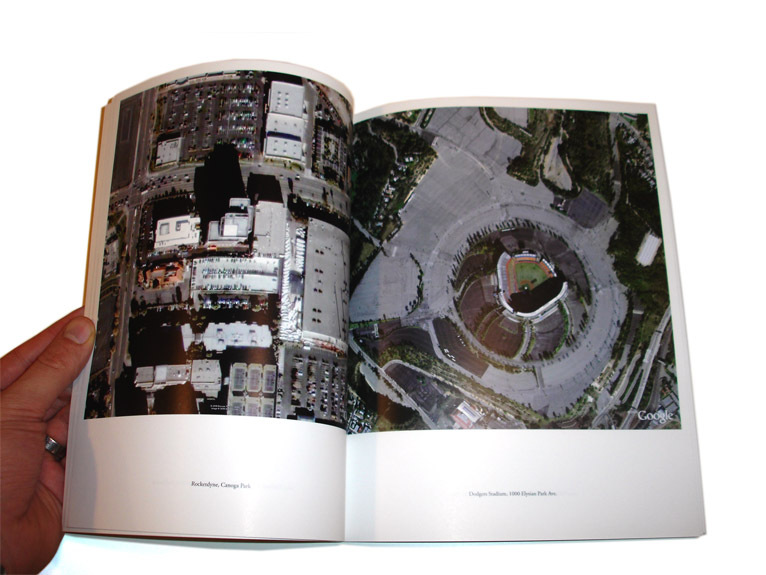 The Southern California cityscape has changed considerably in the intervening decades; it is apposite that the modes of production and distribution of pictorial imagery have also been transformed. Google Earth superimposes visual data accumulated from a variety of sources including satellite and aerial photography. Pursuant to this collagist method of pictorial modeling, Zschiegner’s book registers some of the seams in what otherwise seems a totalizing technological gaze, places in which incompatible perspectives converge on the same topography.